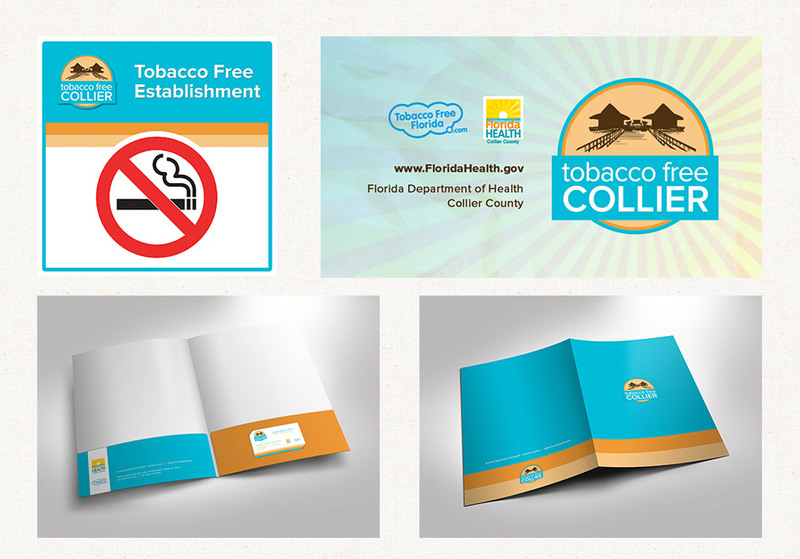 We recently completed a logo design for the Florida Department of Health’s anti-tobacco program, “Tobacco Free Collier”. The new identity will be used by the program to engage with the Naples, Florida community and provide a visual representation for all of the program’s activities and messaging. The new Tobacco Free Collier logo design incorporates the iconic Naples pier; a custom drawn silhouette that we designed after a quick visit to the beach and a few photos during sunset. We developed the branding for this government program through the use of the aqua blue, orange and tan colors used in the identity, and overall the visuals are now engaging, modern, bright and unique. We also designed various things like a presentation folder, a window cling, and Facebook and Twitter profile images. View more Tobacco Free Collier designs here.